The scientific potential of the PERFORMER’S ARCHIVE is synchronous to the potential consequences of human transactions and actions, carrying insights of just the same intensity. The archive’s essential feature is, that, for research purposes, it only makes sense to be viewed within its whole context and that it can only comprehensively reveal its effectiveness within the performance network as such. The archive contents are becoming a “network-tool” within international performance art networks, actively developing in the future. The performer archive will be available to research and education in the future, connected to all channels of a global information system. The archive’s mission: artists and theorists are invited to find suitable conditions and media technology in order to keep the BLACK KIT relevant as a current archive. The archive of action art as an independent and equally important art form will be promoted towards a growing significance through coordinated PR work such as online presentations, social networking, contacts to cultural and educational institutions, as well as press and media work. 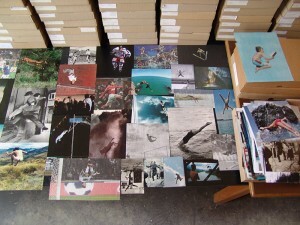 The archive will facilitate residencies for guests. Alongside visits to the archive, guests will have the opportunity to participate in various performance art projects. The art-lab PAErsche is a platform for practical research. 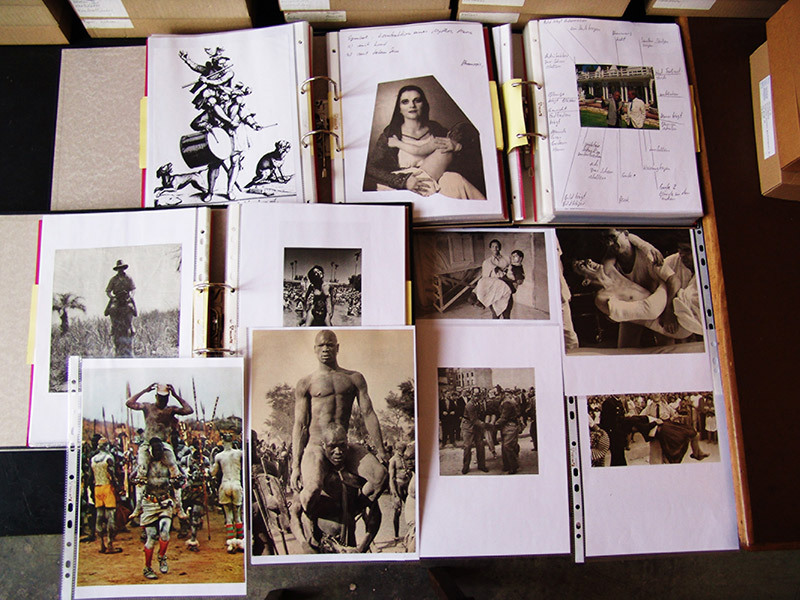 Facilitating the core operation of the archive; generating a network of knowledge; creating a network between artists, theorists, organisations and forms of presentations; connecting anthropological, ethnographic subjects with performance art relevant actions. Contextualisation. The aspect of continuous exchange with cultural and educational institutions. Efficient permanent public relations and continuous external communication work. Defining a range of various temporary financing and sponsoring methods and sources to be able to be employed at very short notice for a specific purpose. Crowd funding, private and public sponsors, etc. Creating a data base: an encyclopedic pool of expansive indices is to be conceived, to enable a fast and efficient search and a high rate of key word matches. Data management: professional data storage, expanding and updating the inventory. Extending the archive: research for, purchase and adoption of new materials, such as documents, catalogues, photographs, videos, etc. Digitalising analogue media (texts, video and audio tapes etc. ): retrieving / preserving digital media. a – a comprehensive insight into the phenomena of performance: terminologically, historically, epistemological. b – to guarantee accessibility and to create the groundwork for future didactics. It is envisaged to consolidate the archive’s function in such a way that can be set into different research contexts and become fully operational for educational purposes. c – Performance and Performance Art are to be set into a larger ethnographic and anthropological context. It seems that performance is essentially a pre-cultural technique, whose phenomenology may be found in countless cultures implying gestures and actions that create and promote a deeper and more all-encompassing way of human communication. A wide range of practices by artists and theorists working with the general public, education, co-operation, the urban space, interventions, shows are overlapping into a hybrid zone moving towards performance and performance art. This field of research involves a search for a definition of terms, the analysis of nomenclature, the course of a history of terminology up to the present day, a history of meaning, the use or termination of a term. Boundaries and cross-over meanings of terms are to be defined. These margins are contextual aspects based on approx. 260 (in 2016) sub-terms of performance and performance art. The diagram “context in performance, performing arts and performance art” by Gerhard Dirmoser illustrates a contextual relationship between 900 artists and 400 theorists. Through his accompanying research over the years, G. Dirmoser created, among others, diagrams on “doing” (verbs) and “atmosphere” (emotion – the motive and essence of an action) and “material”. More detailed analyses were transcribed into sub-diagrams to illustrate specific questions and aspects. “The lying on the floor ones, abandoned to lie” was the first exhibition in 2013 and a model as well as pilot project for a vast field of work between performance and ethnographic / anthropological studies. It archives documents of human actions within a cultural, scientific and experimental context, world-wide, on all levels of public space and in its entire diversity of daily life. Starting point was the human body. It was examined from hair tip to toe nail, limbs, extremities, the body’s growing, flowing parts, the inner organs, fluids, secretions, surfaces – everything image-generating, which had been involved as a material for various performances. An overview was assembled from photographic documentation taken from the BLACK KIT archive and the material submitted by invited artists.